Happy Easter! If you are fortunate enough to be spending the day with family and friends, you are going to be having plenty of conversations about your wedding plans. Here are ten to the most interesting and helpful wedding articles we found around the web this week. 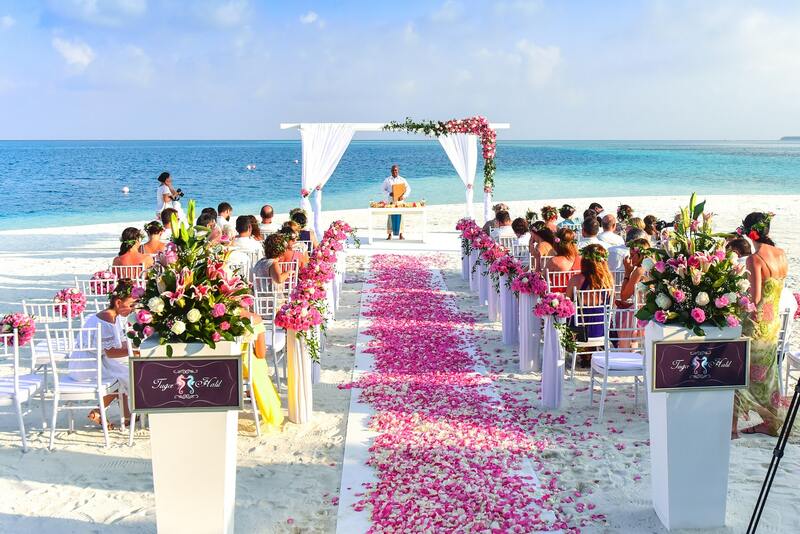 This beach-themed inspiration from Style Me Pretty actually took place in Mexico, but we have had quite a few beach weddings right here in Beaver County over the years. If you are thinking beachy, there are tons of tropical inspirations to borrow from here. Our friends over at WeddingWire are always on the cutting edge of cool, and this week they published their Top 7 Wedding Dress Trends from Bridal Fashion Week in New York. With photos of everything from “the disco look” to “Meghan Markle look-alikes,” this is where you need to be to see what is going to be trendy in 2019. Keeping track of all of these little details that you might want to include in your big day can be overwhelming, but One Fab Day suggested this simple process using Pinterest boards to track all of your inspirations. You might think you know how to handle a few Pinterest boards, but this article takes a deep dive into the right and wrong way to utilize the site in your wedding planning. 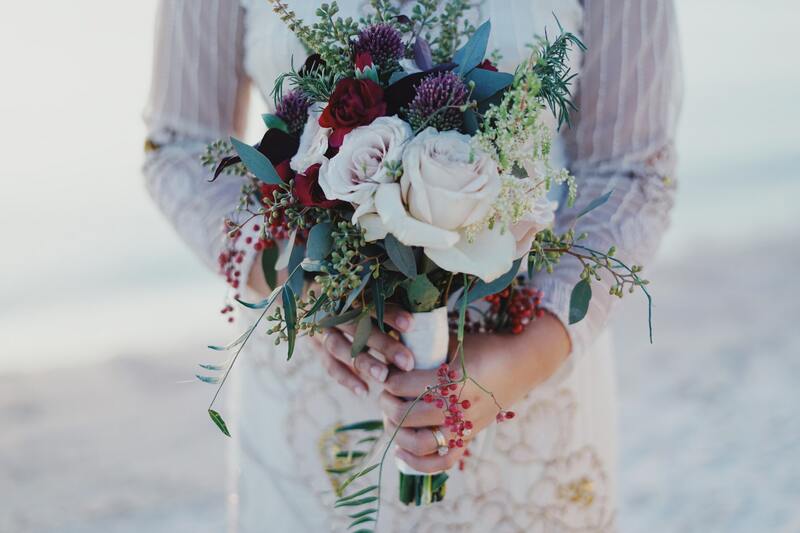 We probably see more beach and rustic themes than anything else, but it is important to explore some of the other options out there, and this spring wedding inspiration from Chic and Stylish Weddings is a stunning example of doing something a little bit different. We completely agree with this post from Rustic Wedding Chic, and their list of 10 Things to Consider When Selecting a Wedding Venue is a great starting point for choosing your space. If some combination of rustic, vintage, and bohemian is what you find yourself attracted to, you are going to love this fabulous inspiration from Hey Wedding Lady. Some people are fortunate enough to have their friends and family give them some space to plan their dream wedding without unsolicited input and unwanted advice…but we’re not sure who those people are, because everyone we know here in the real world has struggled with this. If you are already aggravated by unwelcome advice and ideas, this post from The Wedding Playbook breaks down 12 ways that you can dodge those well-meaning but aggravating offers to help. Everyone loves an adorable flower girl, and this article from Wedding Chicks highlights five beautiful dresses for little ones from Fattiepie. Lots of great inspirations for your little ones here. Wedding Bee went even deeper on flower girls and ring bearers this week with this article breaking down tips on getting the best behavior out of them. The advice here ranges from giving them plenty of time to practice to outright bribery. Offbeat Bride is always taking a fresh angle on traditional wedding planning, and this week they published some amazing modern poems that could be worked into any type of wedding ceremony. If you are looking for something a little different to read at your ceremony, this is a great place to start. It’s been another amazing week here at “The Wedding Capital of Beaver County,” and we have pulled together ten more excellent articles from around the web that will surely help you, wherever you happen to be in your planning process. 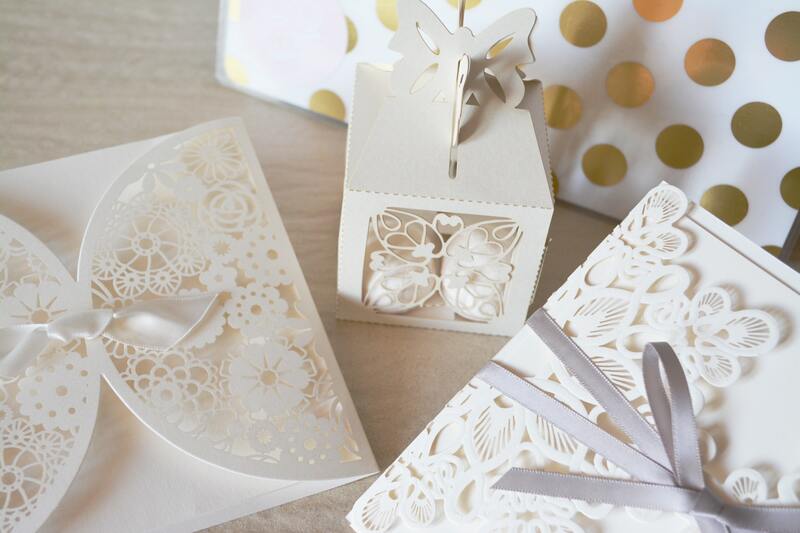 Leading off our roundup this week is this article from WeddingWire that breaks down just about everything you could possibly want to know about wedding invitations. If you are just getting into the planning process, this will be an excellent primer to get you headed in the right direction with your invitations. 2. Who’s Getting Those Invites? 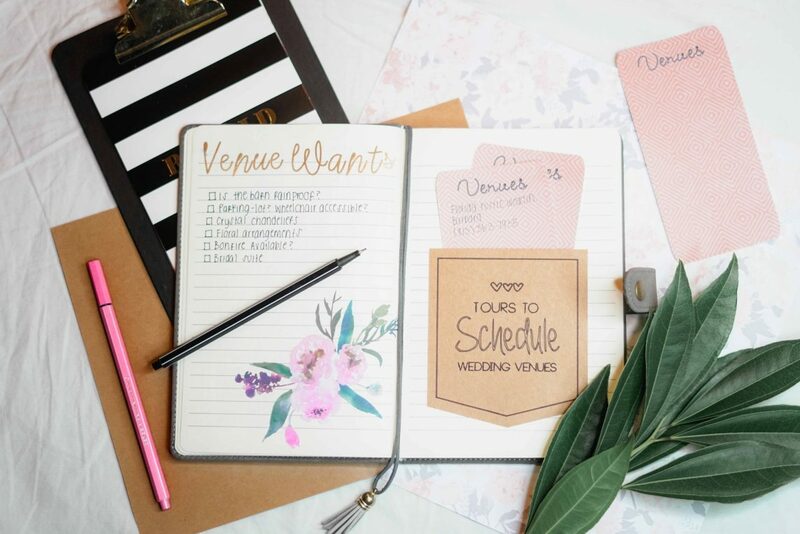 While you are working to create the perfect invitations for your big day, you are also going to be figuring out what the complete guest list is going to look like. Our friends at The Knot had some helpful pointers for getting your guest list right in this article. Remember when coral was all the rage? Love coral shades and schemes? Then this is going to be the year for you! Pantone announced that their “color of the year” is going to be “living coral,” and this article from Style Me Pretty put that stunning shade to work in five different ways that you are more than welcome to use as inspiration for your own color scheme. Finding creative ways to ask your bridesmaids is a trend that has definitely been growing in recent years, and these adorable gift boxes featured on Intimate Weddings are the perfect way to ask your ladies without spending an arm and a leg. You can copy this idea and do it exactly the way that they suggest, but you could also find a way to tweak it and make it unique to each member of your bridal party. Speaking of gift ideas for your bridesmaids, Wedding Chicks suggests spreading out a collection of small gifts throughout your planning process. And they have tons of fun ideas featured in this bridesmaid gifts inspiration article. 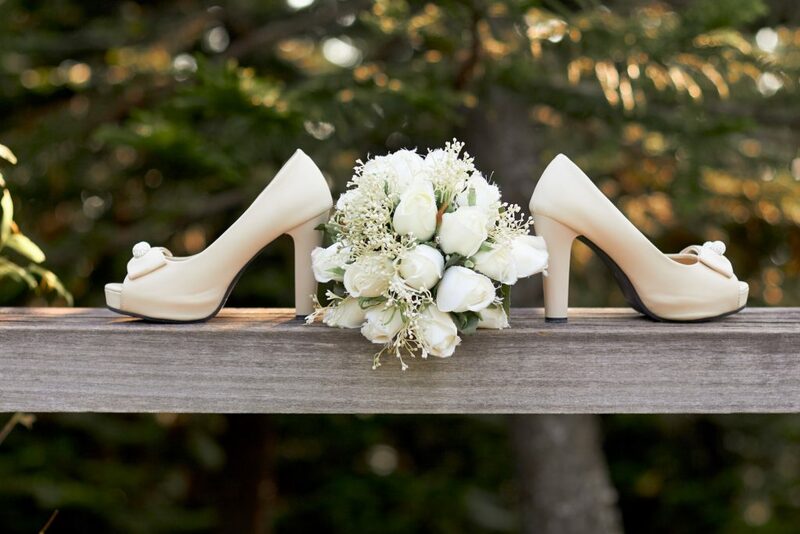 Having trouble finding the right shoes to match your stunning wedding dress? This awesome article from Rock My Wedding featured 18 different wedding shoe options that range from classic heels to comfy trainers. The choice is yours, but keep in mind that no one ever said you can’t bring multiple pairs to the party! If chic and pink are in your plans, then you will want to check out the pictures from this chic pink wedding inspiration post on Elegant Wedding. With all of the thought and planning that goes into a typical wedding, we are always surprised at how many guests take note when a custom cocktail is served. If that is something that appeals to your senses, then this list of fun cocktails and mocktails from Offbeat Bride will definitely be in your wheelhouse. As much as you might be looking forward to the big day, there is nothing quite like the relaxation you’ll feel when it’s all over…especially if you happen to be heading somewhere tropical. The Knot put out a killer list of affordable honeymoon destinations for couples that are trying to keep the post-wedding getaway reasonable. Frustrations with in-laws are far more common than you think, so you are definitely not alone if you are struggling with something along those lines. This WeddingWire article breaks down some outstanding conflict resolution strategies you might want to try. In order to get the right pictures, you have to have the right photographer. 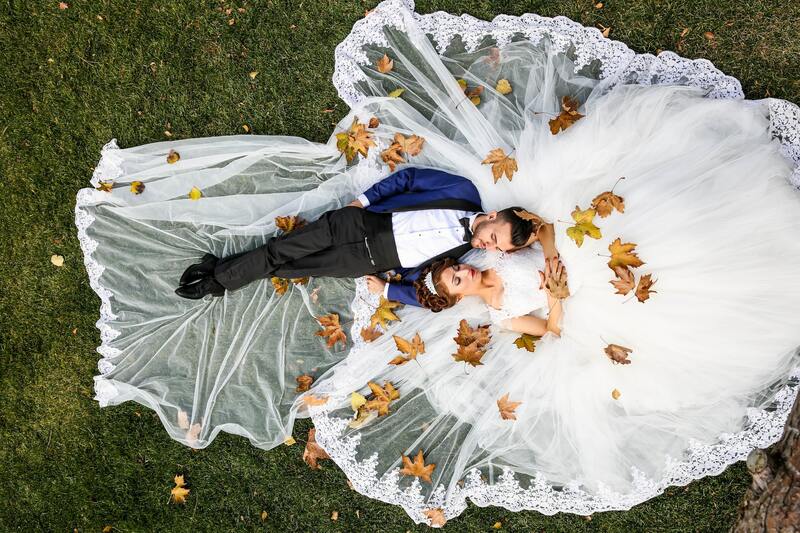 WeddingWire combines both factors in this fun look at some of the hottest photography trends of 2019. 100 Layer Cake was also in on photography this week, but they chose to focus on engagement photos. This article combines a look at one specific photo session with some general concepts that any can use to enhance their engagement photos. If you are considering going with a vintage theme, you’ll be able to find plenty of inspiration in this stunning wedding featured on Every Last Detail. Everything about this wedding was done right, but our favorite detail was that wooden door backdrop, which you could totally steal for your big day. 4. What Do Your Flowers Mean? Some people pick the flowers for their wedding based on looks and colors. Other people want something a little bit deeper. 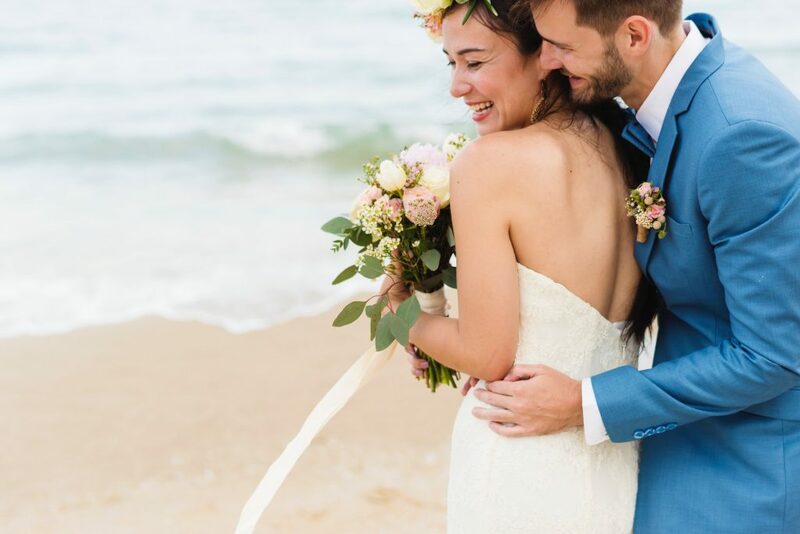 The Knot took a deep dive into the symbolic meaning of a wide range of common flower choices that you definitely won’t want to miss. Everyone wants their wedding to have a couple of things that stand out as different and memorable, and the guest book is one of the best places to do something a little bit different. Rock My Wedding has some great ideas in that department featured in their Alternative Guest Book Ideas article. We’re heading back to WeddingWire for a second time this week because they also put out an excellent guide to selecting your wedding vendors. The article breaks down six different areas where you should be comparing to make sure that you are choosing the right vendors for your big day. Wedding websites are incredibly popular this year, and with places like WeddingWire and The Knot making it easier than ever, there really is no reason not to have one. This post from Style Me Pretty highlights some of the most helpful functions you can add to your site from your guests perspective. We’re all about the cookie tables here in Western PA, but scones are a popular alternative over in England. This lovely English wedding featured a huge tower of scones and berries that could be replicated here in place of a cake or cookies if you were looking for something unique. Amen. Check out this list of eight simple groomsmen gifts from Wedding for $1000 and you can cross that off your planning schedule right away. What are you going to do with your hair? Still struggling to come up with an answer? 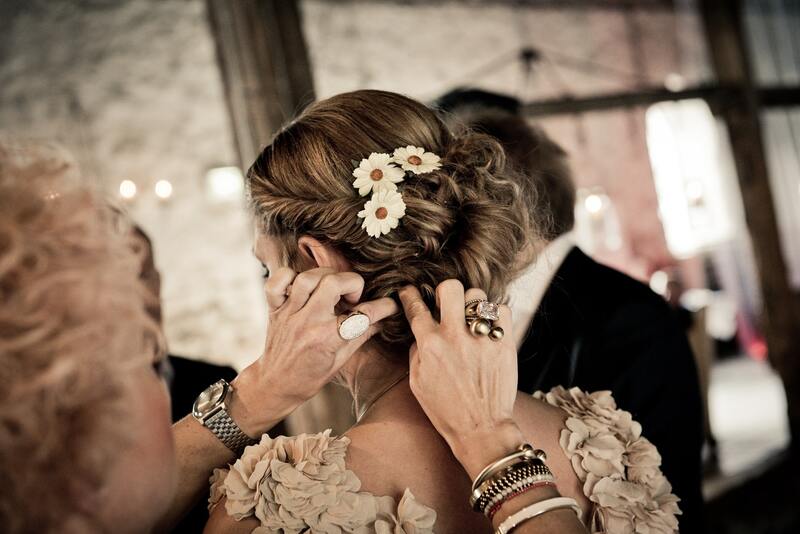 WeddingWire has some great ideas featured in their article covering The 7 Hottest Bridal Hair Accessories of 2019. The Breakers is a legendary beach resort in Palm Beach, Florida, and it was the perfect location for this classic wedding. If you are still in the mode of scrolling through wedding photos for ideas, this post from Style Me Pretty is an absolutely perfect example of a classic wedding done right. Choosing your colors can be one of the biggest hurdles in getting your wedding planning going, but this slideshow from Martha Stewart Weddings is packed with 20 different ideas for spring wedding palettes. Take notes on what catches your eye, and think about how you might want to go in that direction. With so many wedding decisions being guided by the budget, it is easy to fall into the trap of trying to save on every single expense. Once Wed put out a great piece this week that suggests focusing on a few areas where you can let yourself go wild without regretting it after the big day. Just when you thought that choosing the perfect cake couldn’t get any more complicated, 100 Layer Cake comes along with these pictures of “fine art cakes” that will totally take your breath away. Here’s our weekly roundup of the best of the best wedding-related articles this week. With pictures of everything from mock turtle neck dresses to ones with built-in pockets, The Knot knows exactly what types of looks are going to be popular in 2019. You might not want to commit to some of these big trends now, but you’ll definitely want to know about them as you plan your big day. 2. You Mean That’s Not True? Every Last Detail with an informative look at the many myths of wedding planning. 3. Put a Ring on it! Style Me Pretty published a fantastic primer on ring buying that includes everything from “the four C’s” to the basics of bands. If you haven’t purchased your rings yet, this is a must-read piece for sure! We love checking out pictures of actual weddings, and this vintage look wedding is a perfect inspiration for anyone thinking about going that route this year. Your budget is going to impact just about every decision you make while planning for your special day. With that in mind, Wedding for $1000 put together a list of hidden expenses that you might not have considered just yet. If avoiding some of these hidden costs can save you a few bucks, that’s more that you’ll have to spend on the things that actually matter, right? Congratulations on getting engaged! You are about to enter one of the most memorable chapters of your life, and I couldn’t be more happy for you. If you aren’t feeling overwhelmed with wedding planning just yet, don’t worry…it’s coming. And when that wave hits, remember to relax. Everything is going to work out just fine. To help you get started on your new wedding planning adventure, I put together a rough timeline that should help you prioritize exactly what you need to be worrying about each step of the way leading up to the big day. Celebrate the Engagement. One of the biggest mistakes we see from couples is that they don’t take enough time to enjoy the first few weeks of their engagement. This is a big deal for you, so make sure that you enjoy it. Show off that ring, and think about whether you want to have an engagement party. Read as much as you possibly can. There are tons of articles all over the web that can help you with just about every aspect of wedding planning. Read as many of them as you can so that you can make confident decisions on every aspect of your big day. Get a rough estimate on your budget. The amount of money you are able to spend will be the biggest factor in many of the planning decisions, and that is especially true for the big choices. This is a good time to nail down exactly who is going to pay for what, and how much they are expecting to spend. Choose a tentative date. One of the biggest decisions that need to be made is what date you are going to choose to be the one you remember forever. This will depend on a plethora of factors, including what season you prefer for your wedding and the availability of your venues and vendors. Start putting together a list of possible guests. If you’re like most people, you already have a good idea of who you are planning to invite to your wedding, but you might be surprised how large that list gets when you actually write it out. Make sure that you have the budget to afford to invite everyone. Start looking at venues and checking availability. With a rough idea of when you want to have your wedding and how much you are going to be spending, you can start to narrow down a list of possible venues for both the service and the reception. Make sure to keep an open mind and explore a wide range of options here. Begin thinking about possible vendors. If there are any vendors that you absolutely must have for your wedding, this is the time to make sure that they are available on the dates you are thinking about. Book your venues. Once you line up a date that works with all of the venues and vendors that you can’t live without, the next step is to pull the trigger and book the date. Take engagement photos. You are definitely going to want to have some great engagement pictures for your wedding website and your invitations, and eight months out is a great time to get those done. It can also serve as an opportunity to test out a photographer you might be considering. Pick your bridal party. You’ve always had a rough idea about who was going to be in your wedding, but now it is time to make that list official. Decide with your fiancé and then start asking your bridesmaids and groomsmen. Choose your wedding theme. Whether you are going for an over-the-top theme wedding or just a simple color scheme, many of the decisions you will be making down the road will be determined by the theme you choose. What does your dream wedding look like? Start shopping for gowns and tuxes. Finding the perfect gowns and tuxes can be one of the most enjoyable or most frustrating parts of wedding planning. Just relax and try to enjoy the process. Register for gifts. This is the part that really is fun. Most of the major retailers will let you register with them on their websites today, so kick back with a glass of wine and start picking out the gifts. Launch your wedding website. Speaking of websites, if you are thinking about publishing one that includes all of the information about your big day, this is the time to get that ball rolling as well. Request time off. You are probably going to want to take some vacation days leading up to your wedding to make sure everything goes smoothly. And if you are planning a honeymoon right after the wedding, you will also need to be sure that you can get those days off as well. Decide on vows, readings, and roles. You can have any type of ceremony that you want, but you are going to have to agree with your spouse on what that ceremony actually looks like. This is the time to decide on things like writing your own vows, choosing people for readings, and other ceremony-related details. Send “Save the Date” cards. You want to make sure that everyone on your guest list has plenty of time to plan accordingly, so six months out is a good time to let them know with a “Save the Date” card. Finalize your vendors. If you are going to be working with a photographer, DJ, cake vendor, caterer, florist, or any other type of vendor, this is the time to finalize all of the wedding details with those vendors. Start planning the honeymoon. Are you planning to take off to somewhere spectacular right after the wedding? If so, this is the time to get with a travel agent and get that trip booked. Purchase wedding bands. Whether you are going for traditional bands or something outside-the-box, this is the time to get that part figured out. Having a few months of a cushion is a great idea in case something needs to be resized. Book rehearsal venues. If you are going to be hosting your bridal party and other guests for a rehearsal dinner, the venue and details for that will need to be planned around this time. Order your invitations. This is also the time to get your invitations going, which can be a deep rabbit hole of options that range from completely DIY to amazing Etsy options. Enjoy the wedding shower. This one should be a little less about planning and a little more about enjoying yourselves. Let your bridesmaids take care of the details and enjoy a mimosa. Order the favors. Once again, this can be something that you decide to make on your own, purchase outright, or source through an Etsy vendor. But there are always bonus points for finding fun favors that work with your theme and colors. Choose a guest book. Speaking of working with your theme and colors, you will also want to decide on a guestbook around this time. Plan your first dance. You don’t necessarily need to have your first dance pick out three months before the big day, but if you are thinking about some type of production that includes either choreography or participation from your bridal party, this is the time to start getting everyone involved. Mail your invitations. Invitations are commonly mailed out anywhere from six to eight weeks before the wedding, but there is nothing wrong with having them ready to go a full three months out. You are likely going to run behind on some of the items on this list, but this isn’t one you want to let slide. Pick your four items. 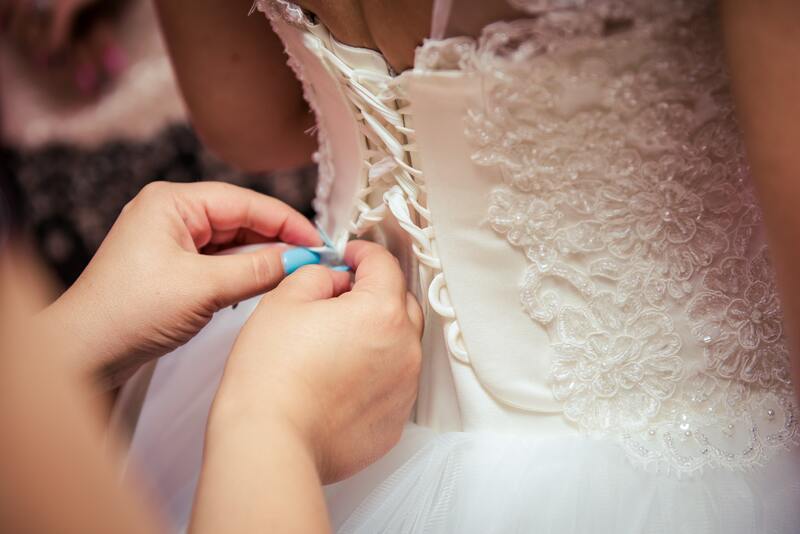 If you plan on going the traditional route of wearing “something old, something new, something borrowed, and something blue,” this is a good time to finalize those four items. Get your marriage license. This is the official part. Head down to the courthouse and get your marriage license filed. Make sure that you have all of the required documents ready to go. Confirm music with your DJ. You have probably been working on a list of music you either want to hear or definitely don’t want to hear for months, but this is about the time that you should start having that conversation with your DJ. Enjoy your bachelor/bachelorette parties. Another aspect of wedding planning that won’t be a big burden on you is letting loose and enjoying your bachelor/bachelorette parties. Finalize your wedding program. It’s also time to finalize all of the details in your wedding program. Double check to make sure that everyone’s name is spelled correctly. Finalize any decorations. 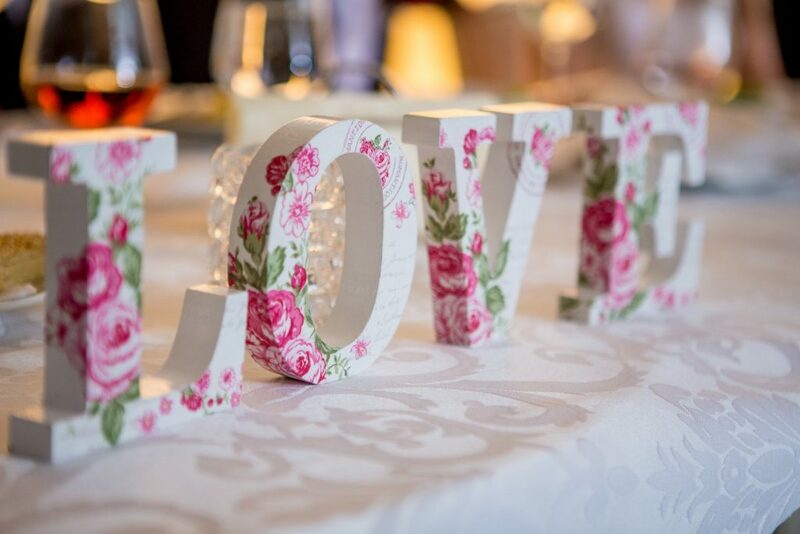 If you are planning on making any of the decorations for your wedding, one month out is a good time frame to set as a deadline so that you aren’t scrambling to complete them at the last minute. Finalize your seating chart. Once you have the bulk of your RSVPs back, you can take the time to finalize your seating chart for the big day. Recheck the list and confirm everything. At this point, just about everything is in place and ready to go. All you have to do is recheck and reconfirm every single detail over and over again until you are certain that everything is going to go as planned. Keep in mind that when you work with us here at Center Stage, you have our expertise at your disposal throughout the entire planning process. Need to speed things up a bit and plan a wedding in six months? No problem. Have a little more time and want to get every detail right? We got you.